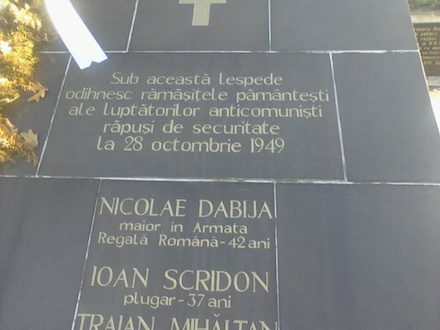 On this date in 1949, the Romanian anti-communist partisan Nicolae Dabija (English Wikipedia entry | Romanian) was shot at Sibiu, along with six other members* of that resistance. Although cousin to Romania’s pre-Ceausescu Communist ruler Gheorghe Gheorghiu-Dej, Dabija — not to be confused with the 19th century general of that name nor with the latter-day Moldova M.P. of the same name — charted a distinctly separate ideological course. He was decorated for his service on the Axis’s Eastern Front during World War II, but this same credential got him expelled from the army in the postwar Red takeover. Nothing daunted, Dabija and some like-minded comrades** formed an armed anti-communist militia a few dozen strong in Transylvania’s Apuseni Mountains named the National Defense Front, Haiducian Corps — a nod to the Balkans’ historical outlaws/rebels. The Securitate reduced them over the course of 1948-1949 months, culminating in a March 3-4, 1949 forest battle that brought Dabija et al into custody. ** Brothers with the apt surname Macavei. Minutes after midnight on this date in 1949, Washington state hanged Arthur Bruce Perkins for stabbing and bludgeoning to death an Olympia couple during the course of a robbery two years prior. Perkins and a friend were peacably repairing a broken-down vehicle near the Jessup home when Perkins got a phone call at that house. Precisely how events escalated so dramatically from this everyday neighborly scene into a bloodbath is not very well-developed, and Perkins did not seem inclined to elaborate on the point beyond what was necessary to expedite his conviction. (He had no last words on the gallows. “Some time perhaps, the truth of this whole affair will be known,” he had mused enigmatically in the hours before.) The best one can present by way of conflict is that Mrs. Jessup attempted to dissuade her “nephew” from an ill-considered marriage. The confession that he gave police suggests that a moment of heartbreak that became a mad and horrible crime. [Mrs. Jessup] kept talking about [the woman Perkins intended to marry] and I slapped her first. I then realized what I had done and knew I could never face her again. The rock I used was in a flower pot or was used as a door jam. I remember the old man coming into the room and I knew right then I would have to kill him as he saw the whole thing. I think the knife was on the kitchen table or drain board. I don’t know how many times I stabbed them. I think I choked Mr. Jessup until he was unconcious and I think I hit him once or twice with my fist and then I remember stabbing him. She was standing up when I hit her and when it was all over I picked her up and put her on the davenport. he was in the back seat and he spoke up rather loud and asked me what my suggestion or what my advice would be to getting this thing over with as quick as possible, get it straightened around and he didn’t want to spend any long time in jail; said he wanted to be executed … I told him the best thing for him to do to simplify it would be to sign a confession, a short statement of the facts and then hire the poorest lawyer he could find. On this date in 1949, Dr. Hiroshi Iwanami was hanged on Guam for murdering ten American POWs during World War II. The commanding officer of the naval hospital on Japan’s South Pacific stronghold of Truk, Iwanami was condemned by the postwar U.S. Navy war crimes tribunal for overseeing — and rather reveling in — the sadistic murders of ten American POWs that fell into his hands in 1944. In addition to murder, Iwanami was charged with “preventing the honorable burial” of bodies and with “dissection” and “mutilation” of them. Iwanami had used all ten of his victims for so-called medical experiments. Four of his January 1944 victims had tourniquets placed on their arms and legs by Iwanami for long periods. Two of the POWs had their tourniquets removed in two hours, and the other two at the end of seven hours. The latter two died immediately of shock, but the former survived. On the same day, four others were injected with streptococcus bacteria to cause blood poisoning. All four developed high fevers and soon died. On February 1, 1944, the two survivors from the tourniquet experiment were marched to a hill in back of the hospital. Naked, with their legs stretched out as far as possible, the men were tied to stakes. Iwanami’s staff then placed a small explosive charge three feet in front of each foot of each victim. The resulting explosion blew off the feet of the men, but both victims survived. Their amazing endurance was short-lived, because Iwanami ordered the men strangled; an aide accomplished the task with his bare hands. Their bodies were returned to the hospital, where they were dissected, and all vital organs were placed in specimen jars. Only some of the organs from the blood poisoning victims were kept, and their bodies were tossed off a nearby cliff. During an evening meal near the end of July 1944, Iwanami asked his staff if they would assist him in experiments on two more POWs. Instead of answering quickly in the affirmative, the men asked about the value of such experiments. Refusing to discuss the issue, Iwanami ordered his men, instead, to participate in the execution of the two POWs. This time there was no opposition to the order. The two Americans were suspended from a bar placed between two trees. With the order to “stab with spirit,” the hospital staff then began their bayonet practice. There was little left of the bodies after the practice was over, and those bodies, one of them headless, were buried near the scene of the execution. Shortly before his capture, Iwanami had the bodies exhumed and thrown into the sea. … the trial was as bizarre as the defendants. Three of Iwanami’s old hospital staff members committed suicide, leaving word that they would rather die than testify against their commanding officer. Another, Lt. Shinji Sakagami, took great pride in the fact that he had strangled two POWs. A staunch advocate of the Japanese war effort and, like so many of his colleagues, convinced that death was better than surrender, he hoped his actions in Truk would serve as a warning to the future enemies of Japan. Iwanami was sentenced to death, although he attempted to cheat the hangman. Smuggling a small, sharpened pencil into his holding cell, Iwanami stood at one end of the tight quarters, shouted “Banzai,” and vaulted against the opposite wall. The pencil was held close to his heart, but it did little damage. Both witnesses on the scene and the commission wondered why a surgeon would have failed to aim the pencil properly. Iwanami’s hanging proceeded as planned, and the most generous verdict for a member of his staff was ten years in prison. On this date in 1949, two young miners from northern England were hanged together at Durham prison for unrelated crimes of passion: one had ravaged and strangled another man’s wife when his attempts to seduce her were met with a demand for money; the other had murdered a local girl (and then botched his suicide) when he found himself on the third point of a love triangle. 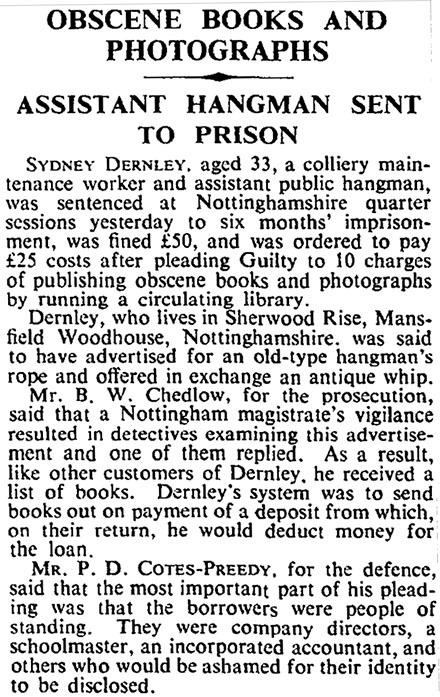 However, it was the very first execution in which Syd Dernley participated. Dernley was an assistant executioner for 20-odd hangings, and while he’s far from the most noteworthy man to tread the scaffold, his 1989-90 The Hangman’s Tale: Memoirs of a Public Executioner might interest the person who takes up the pen for a labor history of the modern death penalty. Dernley, a Nottinghamshire pit welder by day, gives an inside look at the recruitment process and on-the-job operations for a minor-league hangman. 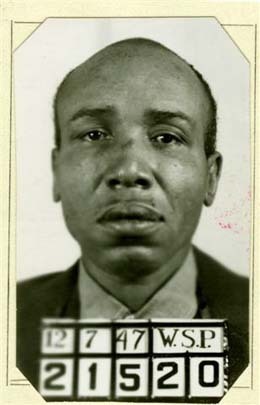 Bored with his job, he wrote the Prison Commission cold in January 1947 offering his services (“I feel sure that I could do the job”), got a generic polite dismissal, and then was one of several rookie volunteers summoned in October 1948 for a training course — a rationalization of the qualification process to go with the rationalization of hangings themselves. Britain didn’t have the volume of executions for anyone to be a full-time hangman, although some hangmen, like Kirk, were also prison officers. Jobs were farmed out by the Prison Commission among its small roster of active executioners, and would begin for the hangman with the receipt of a package from the Commission with two copies of a Memorandum of Conditions for executioners’ employment — one for the executioner’s records, and one to return to the Commission when formally accepting the assignment. The day before the hanging, the executioners traveled to the prison where the sentence was to be carried out. The hanging team would not leave the prison’s walls until the execution was complete: after their prep work on execution’s eve, they slept in the jail. Although prisoners rarely realized this until the last moment, the gallows platform stood just steps outside the condemned cells, the better for the instant performance of the actual hanging. They waited until Wilson and Roberts were safely out of earshot at chapel or in the exercise yard to set up the ropes. Once both ropes had been prepped, they noosed two sandbags approximating the respective weights of the prisoners, summoned the prison governor, and performed an actual test hanging. Everything went off without a hitch. They dined that night, and breakfasted the next morning, on prison mash — it was invariably eggs and bacon for breakfast, Dernley remembered later in his career. After stealing silently back into the execution chamber, practically in the shadow of the last devotions of their unwitting prey, they repositioned the ropes which had been (intentionally) stretched out by half an inch from being left dangling their sandbags overnight. The ropes, and their supporting chains, needed to be positioned such that the noose dangled at convenient head height — again, the efficiency of the actual hanging was paramount — and so that, when the trap was released, the rope provided a drop of the precise length necessary to break the neck. The next forty-five minutes as we waited in our quarters for the call were about the worst of my life. Everything that needed to be said had been said and it was clearly no time for social chit-chat, so we sat there and waited. There was fear afoot in the prison; you could almost smell it. The whole place was silent, waiting. The butterflies in my stomach, which had disappeared when we went to the execution chamber and had something to do, were back with a vengeance. A jumble of thoughts flitted through my mind. Questions: Would we do a good job? Would I put up a good showing? Would we be quick? There were fears too: Will he fight? How will I handle it if he does? The door opened and a warder took a step into the room. Wade got to his feet. “It’s time,” he said simply. “Are you ready?” I nodded. I don’t think I could have said anything. Kirky looked across at me and smiled. “Make it a good job, young ‘un,” he said quietly. In those last few moments I was most conscious of faces, faces turned towards us … screws standing quite still at strategic points, all staring at us … the people standing near the doors of the condemned cells watching us approach … the faces of the official party as they glanced over their shoulders … but above all the face of the clock hanging on the wall at the end of the wing. It was a gigantic thing, about three feet across, and the minute hand was now just a fraction away from nine o’clock. We were halfway to the condemned cells when the silence was broken and my blood froze. The sound was faint to begin with but it rapidly swelled — singing! I could not believe my ears. “Jesu … lover … of my soul,” croaked the quavering voice. “Who the hell is that?” I asked one of the screws who was walking along beside me. He looked shattered but he was not going to admit it. “It’s one of them you’re going to top in a minute,” he replied, trying to sound cool. With that eerie sound ringing round the wing, we arrived outside the condemned cells. The singing was coming from number two cell, and for the next thirty seconds we stood listening to the doomed man and his priest singing in harmony. In other circumstances it might have been lovely. Here, now, it was weird and unreal. From the instant the cell door cracked open, the prisoner should have just a few seconds left to live — although the prisoner wouldn’t realize that fact since his guards were under strict orders to brush off the doomed fellow’s inevitable questions about procedure. The two executioners would walk to the center of the cell, stand the prisoner up, and each taking an arm, efficiently pinion them behind his back. Then they whisked him out a secondary door which opened directly to the execution chamber, where they’d glide right into the waiting head-height noose. The name of the game for the hangmen was calm and firmness: don’t scare the man unnecessarily, just enter with professional inevitability and have the man on his noose in less time than it would take him to find the wit for panic or swoon or fight. The double job complicated matters, but only slightly. The plan was for Wade and Dernley to enter cell number one only moments before Kirky and Allen entered cell number two. That way, both Wilson and Roberts would enter the scaffold singly and the respective hanging teams wouldn’t be in one another’s way — but it would only entail an extra second or two on the traps for the dead men as they were positioned in rapid sequence. It didn’t quite work out that way. Wade moved straight through the door and I followed him into the cell. It seemed quite crowded with the two warders backing clear and the white-faced priest sitting on the other side of the table looking up at us. The condemned man was positioned as per the book, sitting at the table with his back to the door. By the time I got to him, he was on his feet and Wade was bringing his left arm behind his back. There was no resistance as I caught hold of his right arm. He just let me bring it behind his back and Wade was waiting for it. Things were moving incredibly quickly, there was hardly time to take anything in. Wade was walking through the yellow doors. Our man had turned to watch him but had not moved so I just put my hand on his shoulder and, with only the gentlest of pressure, he started to follow. A warder either side of him, we walked through and on to the trap. Wade stopped him and I slipped the legstrap out of my pocket, bobbed down and fastened it round his ankles.‡ I doubt I had ever done it so quickly but by the time I stood up and took a pace off the trap, Wade had finished and the man was standing with his head hidden under the bag and the noose round his neck. Just the way they drew it up … except the Kirky-Allen team was nowhere to be found. They should have been on the trap by now and there was no sign of them! They were having some sort of trouble, but what? As the seconds ticked away, I strained to hear what was going on, but there was not a sound coming from the other side of the landing. That at least was reassuring because whatever was going wrong it was not some massive fight. We would have heard that. I looked around the cell. Wade was staring through the open door, brow creased in a frown, with wide, worried eyes. By God, he looked worried. The governor and the under-sheriff looked as white as a pair of sheets. In the centre of all this, the hooded and noosed figure of our man — who should have been dead by now — stood waiting patiently without a sound. I looked back through the door. Still nothing. I felt so helpless; I wanted to run through and help or do something, but I knew I had to stand just where I was. A double hanging should take around fifteen seconds from start to finish; we had now been standing with our man ready to go for at least forty-five seconds, although it felt like hours. A sound to my right brought my eyes back from the door into the execution chamber. One of the screws seemed about to take a pace towards our man, a look almost of horror on his face. The hooded figure was starting to sway. He was going to faint! At that moment Kirky rushed through the door followed by the lover and Harry. Kirky, looking red-faced and flustered, immediately peeled off to the left and Wade in a blur of motion was stopping the man on the chalk T. In what seemed almost one motion, he whipped the white hood over the man’s head and flicked the noose on. I didn’t even see Harry get the legstrap on before Wade was hurling himself off the trap. The lever went over and away the whole lot went with that massive boom. His nerves none the worse for the off-script debut, Dernley would remain an assistant executioner — he was never the head man — until another one of his hobbies came embarrassingly to light. From the April 28, 1954 London Times. “I have no regrets about what I did and I sleep pretty soundly in my bed,” he sums up. “I do not believe that my career as a hangman has had any ill-effect on me. Not that you ever get away from it so far as people are concerned — once a hangman always a hangman, it seems. Even after all these years I am still pointed out to people and I have a little chuckle to myself when I find somebody in a pub staring at me in that familiar way and I wonder who has been talking to them.” The inference from his lines, and the photos of Dernley jovially showing off his private model gallows, is that the old hangman made it a point to keep the talk going. * Per the extremely useful Capital Punishment UK page, there was a double execution in 1950, another in 1951, another in 1952, and the last in 1954. ** Dernley did avail himself of an opportunity to witness personally the March 29, 1949, hanging of James Farrell. † A man named Harry Allen, from Manchester, would one day be dignified Britain’s Last Executioner. 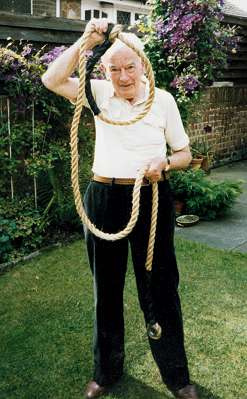 In the 1960s, Allen literally did conduct one of the two simultaneous last hangings in England, as well as the last in Scotland and the last in Northern Ireland. However, Dernley’s counterpart in this execution is a different Harry Allen, from Birmingham. § Dernley was Pierrepoint’s assistant for the hanging of Timothy Evans, for a murder that, three years later, would be imputed to a serial killer living in his building. Dernley’s autobiography credulously backs the government’s whitewash conclusion that Evans was probably guilty too, citing the weak grounds that Evans failed to declare his innocence at his hanging. The Truk Atoll, in Micronesia, is more commonly known today as Chuuk. It’s a hot diving location notable for the many sunken World War II Japanese hulks to be explored there — the legacy of its once-pivotal position in the Pacific War. Japan used Truk as forward naval base in the South Pacific, and armored up its little islands like an armadillo. Rather than capture it outright, the U.S. Navy bombed Truk right out of the war in February 1944, leaving that enormous warship graveyard and a stranded stronghold of starving soldiers who were left to wither on the vine. At war’s end, it was just a matter of circling back to collect 50,000 surrenders. Unfortunately, the castaway Truk garrison did not pass the last months of the war with sufficient care for its foreseeable postwar situation. According to testimony given the postwar Guam war crimes tribunal, 10 American prisoners were murdered on Truk in 1944 “through injections, dynamiting, tourniquet applications, strangling and spearing.” (Source) Hiroshi Iwanami was executed for these gruesome experiments/murders in January of 1949. Ueno, a lieutenant surgical commander, hanged for two other killings that read quite a bit murkier. Five American POWs were being held in a temporary stockade that was hit by an American bombing raid in June 1944 — killing three of those prisoners. The surviving two were severely injured, eventually leading Dr. Ueno on June 20, 1944, to perform what he characterized as a legitimate exploratory surgery on one of those men. His prosecutors framed it instead as a fiendishly gratuitous vivisection. During that procedure, an order arrived for the execution of both the prisoners. The other guy, the one Dr. Ueno wasn’t operating upon, he never had in his care at all; that unfortunate fellow ended up being bayoneted to death. The man on the table (both men’s names were unknown to the prosecuting court) Dr. Ueno stitched back together well enough that subalterns could stretcher him out to a swamp and chop off his head. Here’s the difficult part: Ueno actually gave the immediate order to execute his ex-patient. As described in the National Archives’ Navy JAG Case Files of Pacific Area War Crimes Trials, 1944-1949, the physician’s barrister mounted a quixotic philosophical defense of this deeply indefensible order, noting the principled acceptability of euthanasia in Japanese hospitals (so he said), the inevitability of the prisoner’s approaching execution via superior orders, and the agony the man was already in from his wounds. A certain English poet wrote, “Life protracted is protracted woe.” If the life of the prisoner in the present case was protracted one second, he would have so much more suffering to endure. Should it be condemed [sic] so severely to shorten one’s life under such circumstances and shorten his last woe in this world? The readable little history on Truk island and the U.S. Navy operations against it, Ghost fleet of the Truk Lagoon, Japanese mandated islands”, captures the scene. Shortly after eight o’clock on the humid, tropical evening of March 31, 1949, according to War Department Pamphlet #27-4 Procedure For Military Executions, the 5’6″ Japanese surgeon with extremely strong neck muscles was escorted up the nine steps to the gallows. The handcuffs were removed by a Marine guard and a strap placed to secure his arms to his side and another placed around his legs. A black hood was placed over his head and at 8:26 p.m. the floor panel on which he was standing fell from under his feet and Ueno dropped 94 inches to eternity. He was the last to die, as Rear Admiral Shimpei Asano* had preceded him only moments before. Under the dubious honor that rank has its privileges — the Admiral went first. * Executed for these same two murders on Truk, as well as two other POWs killed at Kwajalein, in the nearby Marshall Islands. ** Angered by Naval administration of the island, Guam’s Congress had staged a walkout earlier in March 1949. This action did successfully force an end to Naval government. 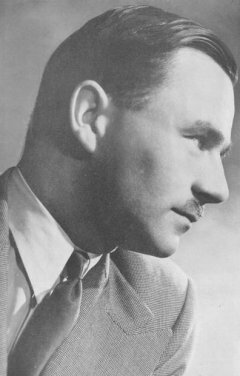 On this date in 1949, Britain’s “Acid Bath Murderer”* was hanged by Albert Pierrepoint at Wandsworth Prison. The name really tells you all you need to know about this enduringly infamous serial killer. John George Haigh drained puddles of deathly sludge into the pipes at 79 Gloucester Road in London and 2 Leopold Road, Crawley, West Sussex. He wasn’t a criminal mastermind, but he had that one good idea, and the doggedness to keep going with what worked through the latter half of the 1940s. Serving a previous sentence for fraud, Haigh impressed himself with a jailhouse experiment revealing the efficacy of sulfuric acid for completely dissolving the body of an unfortunate mouse. Perhaps he had been motivated to the test by the memory of a notorious trial in France featuring the same disposal-of-remains expedient. Perhaps he thought it up all by himself. Shortly after obtaining his parole, Haigh put the insight to foul use by whacking his wealthy former employer over the head and stuffing him into a 40-gallon drum in his Gloucester Road basement. William McSwan’s body dissolved over two days in a sulfuric acid bath. Haigh poured the remnant ooze down a manhole and moved into McSwan’s house, telling the victim’s parents that their son had ducked out to avoid World War II conscription. Once the war ended and the questions came, Haigh made slurry of mom and dad, too. Now the means lay within his power to appropriate a fellow’s pension and estate by disappearing him into a vat of chemicals. Why should he ask himself whether that was right or wrong? Haigh had blown through the McSwan’s fortune by 1948, and started dissolving hand to mouth. In February of that year, the killer lured a doctor and his wife to his new acid bath station in Crawley. These he shot dead, and rendered as per usual into vitriol compote. But he got sloppy the following year by targeting a wealthy widow who actually shared his same apartment block; when she was reported missing, the neighbor with the criminal record went right into the suspect filter. A search of Haigh’s workshops turned up papers tying him to all three sets of murders … as well as a nearby dump whose “yellowish white greyish matter” yielded “28 lb. 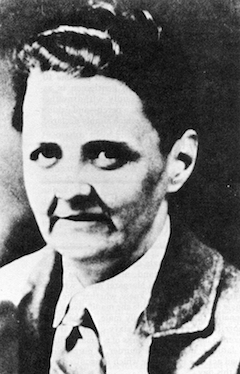 of melted body fat, part of the left foot eroded by acid, three gallstones, and 18 fragments of human bone eroded by acid.” (London Times, April 2, 1949) Preserved dentures proved a match for the late Olive Durand-Deacon. Haigh was a pragmatist, as always. Haigh hanged a mere three weeks after sentence, not even six full months from his last murder. * Not to be confused with the “Brides in the Bath” murderer. Best just to stick to showers. ** Legal oddity: the Daily Mirror described Haigh as a “murderer” during his trial — that is, before his lawful conviction. Haigh was able to land the editor of this paper in the clink himself for this accurate, prejudicial epithet. The flight of Palestinians displaced by the Arab-Israeli War gave Israel a convenient means to insert its agents into its neighboring countries: just disguise them as refugees. Posing as a Palestinian named Najib Ibrahim Hamuda, Bokai’s mission to infiltrate Jordan started at a Palestinian refugee camp in Jaffa, where he was abused by the guards to establish his credentials. 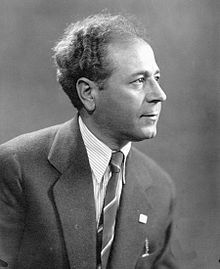 Those beatings went for naught, however, as Bokai never made it past the checkpoint: he was arrested immediately upon passing the Mandelbaum Gate into Jordan on 4 May 1949. 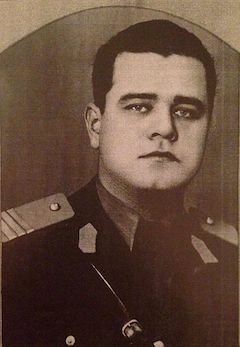 Since he refused to cop to his mission or his Jewish identity, he was given a Muslim burial after hanging for espionage. That charge was indeed well-founded: Bokai is now openly honored at a memorial to Israeli agents opened in 1985. Contrary to what all the slasher films would have you believe, an ax does not make a very good murder weapon. Axes are big. They are heavy. They are difficult to conceal. When used they create a big mess. And if you are caught with one, it’s hard to come up with a suitably innocuous explanation for it. Nevertheless, this was Jake Bird’s weapon of choice on October 30, 1947, when he broke into Bertha Kludt’s home and killed her and her seventeen-year-old daughter, Beverly June. Perhaps if he had used a different weapon, things would have turned out differently. As it was, the two women’s screams — and that’s another problem with the ax: unless you can wield it like Gimli, the victim is going to survive the first blow and start hollering — attracted two police officers, who apprehended Bird after a foot chase. This excellent History Link article provides a thorough account of Bird’s life and crimes. 45 years old at the time of his arrest, he was a drifter and a ne’er-do-well with an extensive criminal record. He’d spent a third of his life in prison for various offenses. Bird openly confessed to the Kludt killings, saying the murders were the result of a botched burglary. One of the police officers who testified at the trial admitted he beat the daylights out of Bird after his arrest. Naturally, the defense moved to throw out the murder confession on the grounds that it was obtained under force, but the judge ruled that the police brutality and Bird’s statements were “unrelated” and so the confession was admitted into evidence. This was the attorney’s only attempt to defend his client; he called no witnesses and presented no evidence at the trial. In all fairness, it must be said that Bird was spattered with gore when he was arrested, they found his fingerprints in blood at the crime scene and on the ax, and he’d left his shoes at the Kludt house. So the confession didn’t figure to be exactly decisive. This would be a fairly unremarkable murder case, but shortly after his arrival on Death Row, Bird suddenly discovered he had an excellent singing voice. For the next several months he detailed 44 murders from all across the country which he claimed he’d committed during his wanderings. Most of his victims were women. Bird’s claims, if true, would make him one of America’s most deadly serial killers, right up there with the much more famous Ted Bundy and the Green River Killer, Gary Leon Ridgway. One inevitably wonders if all of his statements were genuine. Henry Lee Lucas, another violent drifter much like Bird, admitted to hundreds of homicides and captivated police from all over the nation before it was discovered that many of his confessions were lies. Police in several states did find Bird credible, though. Bird was calm and ready for his hanging, which went off without a hitch. He willed his estate, valued at $6.15, to his appeals attorney.